Better Bath Bathtubs and Showers for Mobile Homes, Manufactured homes or Modular homes. Bath tubs shower pans, liners, inserts and surrounds for bath tubs. General Supply is proud to feature bath tubs for Mobile Homes and Manufactured Homes by Better Bath. 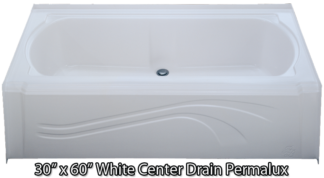 The tub featured here is a standard size 27” x 54” “Center Drain” Tub. 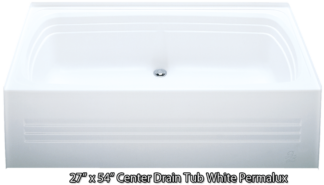 This size tub is also available in a “right hand” or “left hand” drain. 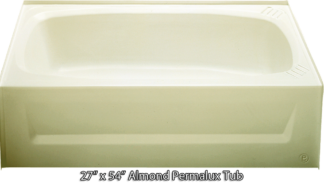 You can choose your tub in either almond or white. With a flexible apron design, these tubs are easy to install in tight spaces. 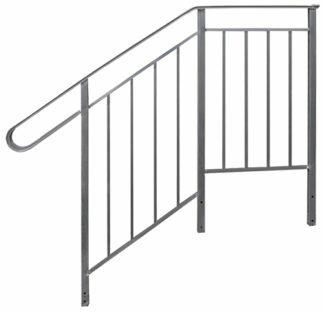 Made of a sturdy ABS material, they are designed to last for many years to come. Better Bath offers an attractive 1 Pc. Tub Surround or shower liners that is easy to install and matches beautifully with your new tub. Better Bath has introduced a new line of 27 in. x 54 in. bath tubs. These new Permalux tubs are made of a sturdy ABS material with an acrylic coating. 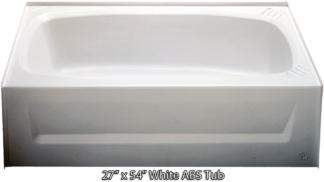 An additional resin coating is added to the underbody of the tub to add increased strength and durability. 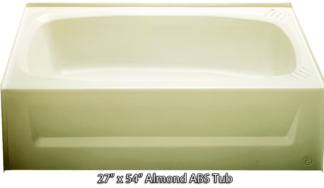 These tubs make an excellent choice over the older fiberglass tubs. 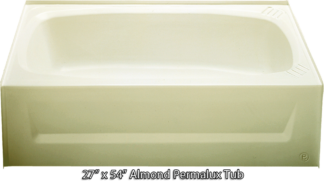 Permalux tubs are available in White, Bone and Almond. 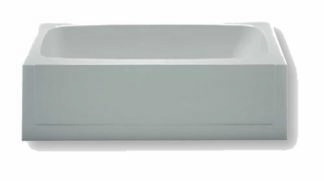 We offer a variety of shower pans from Better Bath. The Standard size for most manufactured homes is a 32 in. x 32 in. shower pan with optional shower surround pictured here. For those who would like to replace their existing 27 inch x 54 inch bath tub with a shower pan and surround, General Supply has what you need. We offer a 28 x 54 shower pan with a 1pc. surround (sold separately) that will fit right into your existing space. Whenever replacing your existing shower or tub, be sure to order a new p-trap and tray adapter to properly attach the necessary plumbing to your home. 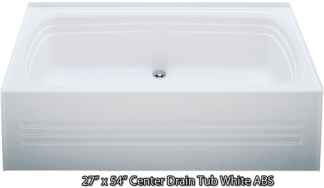 For more information on how to install tub and shower inserts, see our installation guide helpful hints sections on our web site.